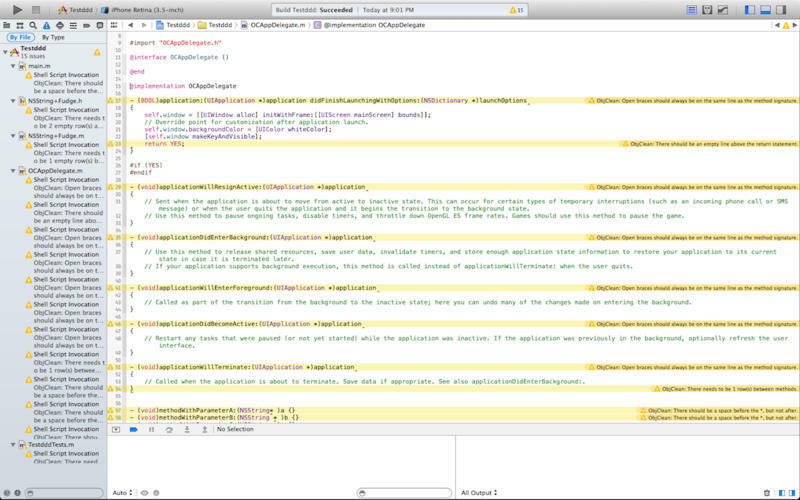 Apply Objective-C coding standards in Xcode. Is there a better alternative to Objective-Clean? Is Objective-Clean really the best app in Developer Tools category? Will Objective-Clean work good on macOS 10.13.4? Objective-Clean is a tool that helps you apply coding standards in Xcode so you can write clean Objective-C.
By taking our survey at objclean.com you can voice your opinion about the way coding standards should be, back it up with StackOverflow credibility, or just apply your own rules the way you want them to your projects. How you use our tool is completely up to you. If you find that it doesn't support rules that you want added, send us an email! We want to make this a robust solution for everyone. Note: The downloadable demo is version 1.6.3; the version available for purchase on the Mac App Store is version 1.6.1. 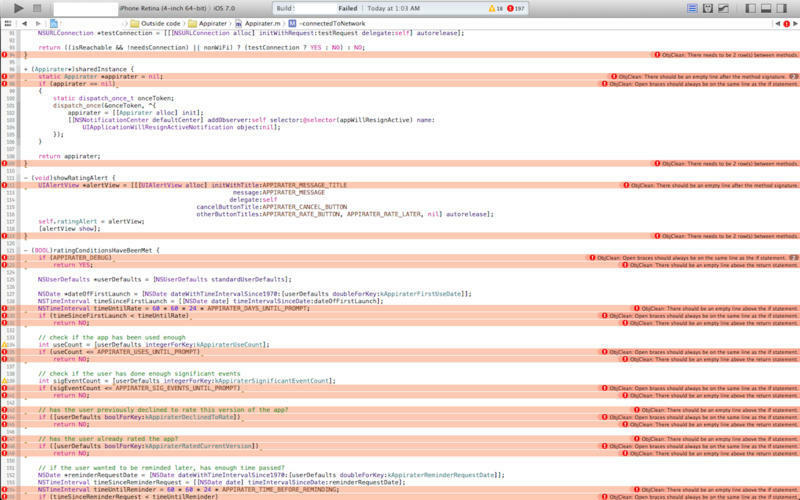 Fixed the issue that was causing our run script to conflict with the CocoaPods run script. Objective-Clean needs a review. Be the first to review this app and get the discussion started! Objective-Clean needs a rating. Be the first to rate this app and get the discussion started!